The national chairman of the Social Democratic Front-SDF has rubbished Prime Minister Philemon Yang’s statement that the SDF party is like a barren tree. Chairman Ni John Fru Ndi who was in Donga Mantung Division as part of his campaign tour, told militants and sympathizers of the SDF that Yang’s appointment as Prime Minister, head of Government came thanks to the SDF party. Addressing the mamaud crowd in Ndu and Nkambe, Ni John Fru Ndi revealed that before the launching of the SDF, the post of Prime Minister was scrapped off, and it was only brought back so that an Anglophone could be appointed to fight the SDF reasons why all the Prime Ministers since then have all been Anglophones from Achidi Achu to Musongue, Inoni and Yang today. Harping on the statement made by Prime Minister Yang Philemon that the SDF party is like a barren tree that should be felled; SDF national chairman rubbished the statement by stating that a barren tree that produces shade is more viable than a tree that produces fruits that would never receive the visit of birds or flies. He compared the Cameroon People’s Democratic Movement-CPDM to a guava tree that produces acidic fruits. In reacting to another statement made by the Prime Minister that the SDF party talks a lot about power whereas they do not have the power to create a school, hospital, health center or construct a road, Ni John Fru Ndi questioned whether Philemon Yang is leaving any legacy for the people of the North West Region of Cameroon. He said Yang’s stay in the Prime Ministry will end up like a shadow resembling Achidi Achu Simon tenure that was booted out of the Prime Ministry without any legacy. He said Inoni constructed almost all the streets in Bakigili, Musongue did the same in Fako, yet Yang Philemon is unable to tar just a single street in Oku. Ni John Fru Ndi discarded the notion by the CPDM to impose Unidentified Flying Objects-UFOs as candidates in the Donga Mantung Centre Constituency. He denounced the fact that money earned from dubious contracts has invaded the Donga Mantung Division to buy votes, yet he advised the population to collect the money and chop to later slab it promoters with a sanction votes. He warned that any injustice, before, during and after elections will be a concoction towards electoral violence. According to Ni John Fru Ndi, the SDF stands for justice during, before and after elections. Recalling the famous Ndu Genocide, Ni John Fru Ndi questioned the crime that the people of Ndu committed to deserve such inhuman treatment. The crowd was stunted when he revealed that government had compensated those whose properties were destroyed during that time yet the people of Ndu who lost properties and lives were ignored. The Biya regime, Fru Ndi added his heartless and should be vomited from Donga Mantung Division. On the hot political climate in Ndu and Nkambe, he prescribed calm and serenity but when further to warn that anybody who raises his/her hand on Mary Awudu Mbaya again (Hon. Awudu Mbaya’s wife) should be aware that the act is a declaration for war. Before receiving the blessing from the population to pass to the parliamentary candidate and councilors, he committed himself by announcing that any MP or Mayor that doesn’t work for the interest of the people who elected him shall be replaced. The court in Ndop has found young Fiakinda Alain guilty of two counts. Fiakanda Alain who was caught in possession of two voters' cards has been slammed a two-year jail term. The Ndop Court of First Instance passed the ruling on September 25, 2013 after the suspect pleaded guilty. 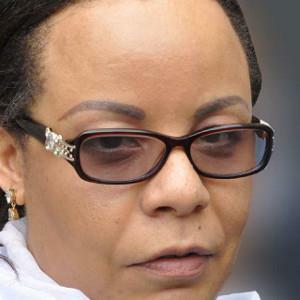 According to information gathered Fiakinda Alain had registered in two polling stations in Bamuka-Ndop with two different names with the intention to make money during elections. Sources from ELECAM in Ndop hinted that Fiakanda Alfred registed at Mbanka I Polling Station using his real names Fiakinda Alain and later registered at Mbanka II using the name Fiakinda Alfred. To camouflage and make it look as if it were a different person, he changed his second name and the name of the mother. Political pundits are of the opinion that Fiankinda's case is just one in a million of other election riggers who could not be identified by the biometric system and that the ruling should serve as a warning signal to many youths who are being used by politicians to rig elections. As September 30, approaches, politicians in the North West who had developed obnoxious plans to rig elections are in panic. It is alleged that Fiankinda was pushed into committing the electoral crime by one CPDM bigwig yet the said personality wasn't in court to console the young man.Fiakinda Alain it should be noted is the first victim of biometric voters card in the North West Region of Cameroon. A classified source at ELECAM has however hinted that many more victims will follow suit. For the first time in Cameroon, an electronic software known as Ushahidi shall be used to observe the legislative and municipal elections of September 30. The software, deployed in Yaounde shall use a simple mechanism that consist in sending SMS using cell phones and it is shall be open to observers and the public in every corner of the country where mobile phone services are available. A central unit run by a group of volunteers of from the civil society shall collate and analyse all information coming and this shall be represented on a map on a real time. In this regard, specialised observers who are in the field and the general public shall text in electoral fraud attempts or irregularities after direct observations. Citizens are expected to report observed irregularities through text messaging or emails that shall be collected at the central processing unit that shall be based in Yaounde. The colleted data shall be put into a real time map indicating areas where electoral fraud attempts and irregularities, violence at polling stations, voter intimidation etc is taking place. This shall enable those running the systems to indicate at the appropriate levels for corrective measures to be taken. This may be informing ELECAM officials, political parties, community leaders, administrative authorities who may act on the information and all these processes are done on a real time. Anybody with an internet connection shall be able to visit the Ushahidi Cameroon website (www.cameroonelection.org) and consult the map to see what is going on around the country. Four Organizations with the support of the European Union will coordinate and manage the process of observing the elections using Ushahidi and they include Transparency International - Cameroon (TI- C), Un Monde avenir , The GRET (and its partner Espace Lumière), and Journalistes en Afrique pour le Développement (JADE with the technical Support of social Innovation for Development ( SIDLAB ) and Anti- Corruption Organization (AC ). Jean Brice Tetka of the Anti-Corruption organization who recently visited Kenya worked with the team that deployed the Ushahidi system during the last legislative and presidential elections in Kenya that saw the election of Uhuru Kenyatta into power. He shall use the Kenyan experience to technically supervise the deployment of the Ushahidi platform during the September polls. Although this is the first time such an initiative is carried out in Cameroon, it has been successfully used in other countries including Kenya where it was born after the 2007 presidential elections that witnessed untold violence. The computer-based platform was used by people who witnessed acts of violence and could report directly to it while data mapping representing such areas was done. This enabled the provision of clearly defined maps where violent acts occurred. Used within the context of election observation, Ushahidi is a crowd source data collection platform. Ushahidi which is a word from the Swahili language meaning testimony is a new breed of election observation tools and shall enable Cameroonians to be able to see what is going on around the country on real time during the elections. It has some advantages because it is built to protect and keep secret the identity of those reporting to the system and field reports can be sent during all 24 hours of the day. In a country where participation in the political process has become a very boring and burdensome task to the citizens, this mechanism shall facilitate election observation while improving on citizen participation because it suffices to have a cell phone and to observe an electoral irregularity to become an election observer. This may rekindle confidence in a decaying electoral process and give some hope to the electorate by encouraging citizen participation and improving on the credibility of the elections. The platform shall also be opened to traditional observers from other civil organisations that shall be able to report to the system. A telephone number, 51 57 34 34 has been put at the disposal of the general public to text in electoral irregularities observed. The head of the CPDM campaign leader to the North West Region, Prime Minister Yang Philemon has reminded the people of Donga Mantung Division that when the people of the division are happy, he is a happy man. Yang Philemon said that the people should support the CPDM so that government could look into their problems. From Nwa to Ndu, down to Ako, Nkambe and Misaje, Yang Philemon said he came along with warm greetings from President Biya. He called on the population to vote for CPDM candidates. To Yang militating in the CPDM is a great sacrifice because it is God that will reward them for their contribution in nation building. He frowned at political violence and warned that no one should take a cutlass to butcher anyone. He made a jump-over on the issue of the ring road as he (Yang Philemon) added that the ring road will be tarred from Ndop to Kumbo but failed short to tell the people of Donga Mantung when the Kumbo-Nkambe-Misaje stretch of the road will be tarred. To Yang people should vote for a party that will develop Cameroon. He said people should vote a political party that will foster development. The CPDM and SDF, he said are like a kolanut tree. And that a kolanut tree that doesn’t bear fruits should be felled. In Nkambe, he likened the SDF to a barren kolanut tree and in Misaje PM Yang described the CPDM as the palm tree that produces not while the SDF is a barren one. Yang Philemon said this is the time for people to make the right choice. The best choice, he said should be the CPDM. He prescribed door –to-door campaigns for the CPDM. On his part Dr. Fuh Calistus, head of the campaign team for Donga Mantung West said the CPDM government has ignited hopes in Ako/Misaje Sub Divisions. 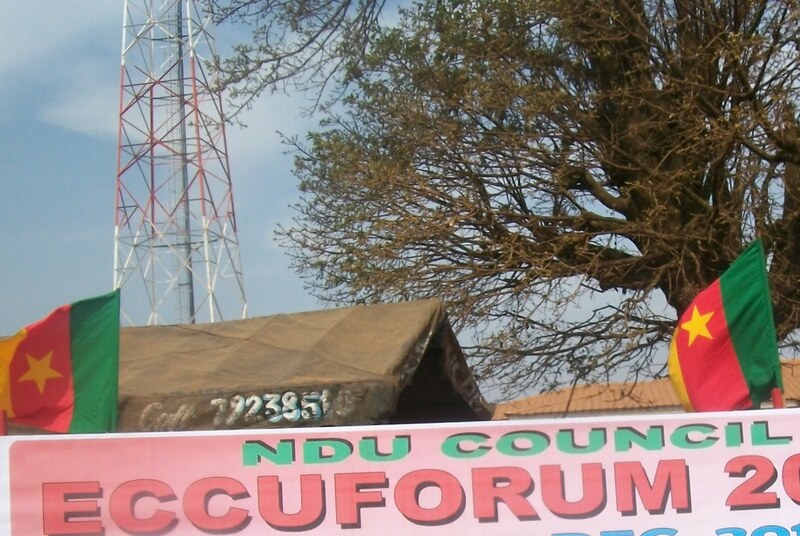 Dr. Fuh Calistus Gentry said with the CPDM schools have been created, the road Babungo-Misaje was upgraded. Minister Fuh Calistus also said that the dream that Misaje could become an earth road junction is rife. To Dr. Fuh Calistus, Ako/Misaje will remain the bastion of the CPDM in Donga Mantung Division. Uncertainty looms large in some CPDM bastions as the Prime Minister’s visit exposed some unknown yet not hidden cracks. The turnout in Ako and Nwa was indicative that the CPDM has collapsed into the doldrums. In Nwa, a scanty population showed up to receive the Prime Minister. In Nwa, the situation was similar. It should be recalled that in 2007, the CPDM carried the day in Nwa but opinion polls put the SDF on the lead after Yang’s visit. In Ako, the Parliamentary seat could move to the SDF or NUDP while the Misaje Council is likely to be shared. In Nkambe and Ndu, even though Ndombang Gerard Ngala, CPDM Parliamentary has shaken the tides, the chips are still down for the CPDM as SDF is 85% up the scale. For the CPDM to emerge again in Misaje, pundits say Dr. Fuh Calistus will have to work extremely hard as key militants like Kanjo Ernest alias Kanjo Mada have crossed carpet back to the SDF. Another school of thought holds that due to the fact that PM Yang never made any concrete statement on the situation of the Kumbo-Nkambe-Misaje stretch of the Ring Road, things may be more complicated for the CPDM. That CPDM has unreserved access to the country’s treasury for campaigns is a determinant-disadvantage to her adversaries, which has often escaped the notice of elections observers. Elections require huge amounts of campaign money. In democracies, the ability of raising funds by various candidates and / or parties determines the winner. In such good systems, elections are organised and supervised by unanimously chosen independent elections body. Its independence (financially and otherwise) is secured by the parliament. In Cameroon it is one political party (CPDM) despite the existence of hundreds of others (opposition political parties) that organises this. CPDM formerly CNU has been in power since independence more than 50 years ago. Elections observers particularly those from abroad (international monitors) go by the Cameroon electoral code and other local poll documents. They, like in the past, will observe the conduct at polling stations but will hardly know what happened prior to polling day not to talk of the country’s governance draft. 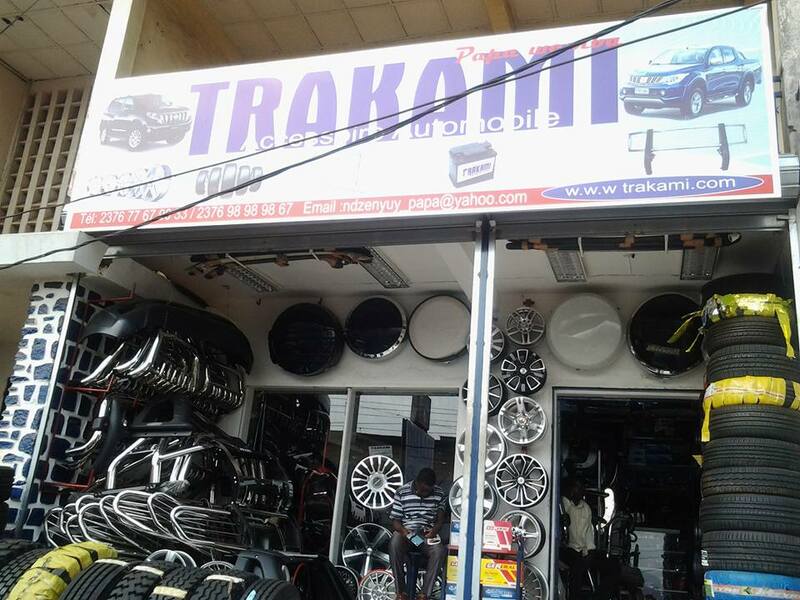 In this country, unscrupulous politicians influence voters’ choice by criminally using Cameroon taxpayers’ money; conscience buying is characteristic here. In the just past senatorial poll, each councillor reportedly backed home circa half a million FCFA bribe from the powers that be in order to vote in their party’s favour - councillors constitute the electoral college for that election, it should be recalled . During election-campaigns and CPDM meetings, government offices are paralyzed! Ministers, directors and other government functionaries abandon duties for such events - regularly in state cars and on unbudgeted allowances - this stresses the entire nation’s economy - because of one party. A country, which operates like this, can hardly progress - common basic experience indicates; with such ugly practice, we (Cameroonians) are in for unending dependency and consequent suffering! In Cameroon, the difference between the government and the ruling party, CPDM is not quite clear. 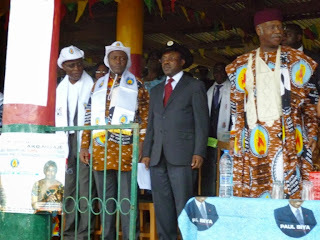 Head of state Paul Biya is also national president of CPDM. The Powers that be would not allow other parties to defeat theirs, the ruling CPDM in elections. Cameroon is an exclusive executive-manned government. The legislature and the judiciary exist only as lackeys of the president (executive). Thus, Biya uses the country’s treasury as he pleases with impunity. Funding for elections participating political parties is said to be given by government – this year, 2013’s is said to be FCFA 1.7 billion shared proportionately to the various parties. But CPDM alone through the executive visits the treasury as often as they wish. Her adversaries or other Cameroonians and elections observers now do not know the unannounced amounts of money withdrawn by CPDM. Consequences – Cameroonians get elections whose outcome is embarrassing but in books and reports - “The polls went on with minimal irregularities that could not change the outcome of the elections”. Though seemingly shielded, these wrongs have often brought uprisings and war in Cameroon (e.g. the February 2008 nationwide strike) and other poorly governed countries. Such governance breeds stagnation. Cameroon is poor, corrupt, and heavily indebted and lives at the mercy of HIPC (Heavily indebted poor country) funding. In Cameroon, election results, always in the favour of CPDM, are known before polls day. For example before the September 30, 2013 polls, CPDM has, out of 360 councils in the national territory, already 120 councils uncontested. Out of the 180 seats parliament, CPDM by now before elections has 31 seats. The other parties including the main opposition, SDF were screened out of the contest by the ruling regime inclined structures – ELECAM, Supreme Court and others. Imposed personnel on elected officials like SDOs and DOs, government delegates, regional governors further complicates the work of elected officials. The supposedly non-partisan state armed forces are blackmailed into errors of fighting for CPDM fraud victory. A Biya created composition, supposedly for fighting corruption, CONAC, recently said she would fight electoral malpractice - We challenge her to also find out why in a multiparty setup like Cameroon’s, CPDM and sister political parties do not sit down together and take joint acceptable decisions before implementation nationwide; why separation of powers in governance as obtained in democracies is anathema here and why the ruling CPDM solo uses the country’s treasury and government workers for her campaigns to the detriment of her adversaries ? President Biya appoints members of the otherwise independent and government-controlling legislature – here the number of parliamentarians of the national assembly and the senate are manipulated to often be above 70 percent CPDM. The president of the republic is the chairperson of the higher judicial council, which outfit disciplines, transfers, and promotes amongst other tasks the nation’s magistrates – Litigations-rulings particularly those involving Biya and his CPDM are arrived at with the presidency’s say. It is almost certain that with this kind of one-man endemic progress-inhibiting governance, the country can only be freed from the streets not via due process of law. Street power or peoples power have delivered many an archaic regime, history teaches us. Way-out:– continuous struggle through the ballot box. Let us, fellow Cameroonians collect our vote cards and vote. There comes a day when we will all stand up and out rightly and permanently reject CPDM and corruption either from the streets or otherwise as other countries do – that day is near before or after 30 September 2013 probably. The days of an insensitive regime like Biya’s are numbered should she continue ruling without the concern of majority Cameroonians. SDF Candidate for the upcoming September 30, 2013 Parliamentary Elections and head of the SDF campaign team for Donga Mantung Division in the North West Region of Cameroon has frowned at the precarious political atmosphere in Nkambe as politics go deadly. 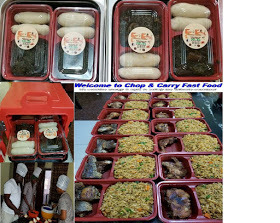 In a Press released issued on September 22, Hon. Awudu Mbaya decried that CPDM gurus have refused to caution their militants against taking the laws into their hands. He cited the case whereby the SDF Campaign team was attacked at Binju by CPDM tugs and it generated into a confrontation which resulted to bloodshed. Hon. Awudu Mbaya in his release also revealed that last September 21, 2013, CPDM tugs again attacked the SDF campaign rally with stones and later ambushed the SDF Campaign team along the Tabenken road and destroyed one of their cars. With all these happening, Hon. Awudu Mbaya wonders whether politics is war or a game of ideologies. Here below is the Press Release. 1. You are living witnesses that the SDF party is dominating in the campaign as usual and at 85 percent-opinion poll. 2. The CPDM party led by Ndombang Ngala Gerard, parliamentary candidate, Mr. Paul Ngabir, Section President and with the leadership of Shey Jones Yembe, Shey Nfor Musa, Adamu Musa, Ali Adamu etc have been mute over the precarious tens political atmosphere even after our meeting at ELECAM where we all agreed to caution our militants. Implicitly, they have condole and given a tacit approval to the on-going violence. It is pathetic that politics has now turned deadly in Nkambe. Despite the intervention by the administration the afore mentioned personalities are not giving a helping hand to calm down the violence. It is worth noting that these personalities boycotted a meeting called by the administration last Friday the 20th of September 2013 aimed at reducing tension thereby taking the laws into their hands. This has never happened in the past. 3. They have vowed to used money, military boys and other means humanly possible not only to attack my team, disrupt and cause violence at polling stations but also make sure they seize our victory at all cost. Our campaign team was attacked at Binju and it resulted to bloodshed. Yesterday, the 21st September 2013, another group of CPDM tugs attacked our campaign rally and finally ambushed our campaign team along the Tabenken road and destroyed one of our cars. Is this real politics or war? 4. Almost all the above mentioned personalities are Christians or Muslim faithful, yet they do not respect democratic norms and the political principle of ONE MAN ONE VOTE. 5. You ate living witnesses that the CPDM party has been using money to buy consciences and hijacking the civil right of Cameroonians before and during this campaign period. 6. Recall that Madam Awudu was beaten at Wat by one Ngenge David Chifu, a CPDM candidate and the market master, Ngwayi Ivo was brutally beaten by two CPDM militants. In the same vain Ndi Eric of Kungi was stab with a knife for haven resigned from the CPDM. We never reacted to show our political maturity. 7. Recall also that our posters have been torn all over the town and the life of Hon. 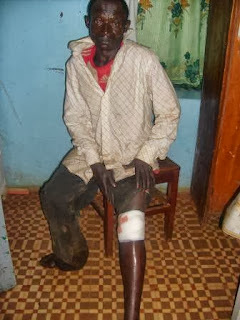 Questor Awudu threatened as evidenced by a witch-doctor who was recently caught at Kungi by our vigilant group. 8. The CPDM party has vowed to use money, ELECAM, Administration to buy all polling chairpersons in order to grasp the victory. This is clear that all our representatives at the polling stations are in danger. Upon the above threat, we are therefore calling on all the clergy, churches, Christians, Muslim faithful, human rights, political activists and the international community to be aware of this malicious attitude and well oiled rigging machinery and to necessarily intervene to maintain peace, social and democratic justice. I therefore call on all SDF militants, sympathizers and the peace loving people of Nkambe Central and Donga Mantung in general to continue to exercise political tolerance and maturity and avoid yielding to the on-going provocation. invariably, in resistance. It is only all-inclusive, democratic rule that enjoys the adherence of all members of society, and releases their god-given talents and abilities, that produce what according to Alexis de Tocqueville, the ablest governments are usually unable to produce, namely, an all pervasive and restless activity, a superabundant force, an energy, that produce wonders –human and societal development; the feel good factor. At every election, the CPDM is always asking for “comfortable” majorities, or “large” majorities. During the 2007 elections they went home with 267 of the 360 Council seats, and 153 of the 180 parliamentary seats. They used these majorities to set the rules in every domain of society; to define our basic rights; to limit the political possibilities of the “minority” – the opposition- in such a way that, using the rules, they would never get the chance of becoming the majority. They used their majority to avoid compromise and consensus on major societal issues, and at the least opportunity, they turned around and appealed for “harmony” and “peace”, which, invariably, only serve the selfish interests of the “majority”! Sometimes they enforce these using the brute force of the self-interested laws. Further, they use their “majority” to create outfits like the National Communication Council, and many others, which jump into the arena and play the game like blind boxers! attributed blame accordingly.Political party members are identified by their party cards. The explanation that “barcode stickers” were established for use in identifying members of the CPDM during primaries in “Meme 1A” is frivolous. The deformation of voters’ cards with such stickers is a clear attempt to cause confusion and to continue to campaign even on Polling Day; it is an unacceptable effort to violate the consciences of the voters. If the barcodes are attached to tee-shirts, caskets and other accompaniments on Polling Day, they will have the same effect on onlookers like wearing the uniform of a political party on Polling Day would have. Therefore the so-called identity barcodes of the CPDM should not be allowed to be displayed on electors in any form on Polling Day. Further, any effort to get voters to exit with ballot papers of the “opposition” to surrender them with the identifying barcodes on them for remuneration would be nothing short of violation of the spirit of the secrecy of the ballot. the voter’s card and vote with the national identity card alone, thus feigning ignorance of the effect it will have on the idea of the biometric system, and the problems that such a practice will cause to the electoral process on Polling Day. years during which they could have invited their leader to Buea or anywhere of their choice, and feasted with him in any manner of their choice. But to give the impression today that as a political party they can betray the reunification idea by giving the impression that those of the “opposition” belong to a different category as far as reunification is concerned, is not only treacherous and unpatriotic; it may strengthen the SCNC argument that the CPDM inspired law no.84-1 of February 4, 1984 abrogated the union, and turned the former Southern Cameroons into a territory colonized by the CPDM and its agents. and yet the amount was not considered when 1.7 billion FCFA “from the public treasury” was being distributed to political parties, it would be tantamount to theft of public money by the CPDM. Fifth, all development in Cameroon today seems to be hinged on what the CPDM calls “greater achievements” (or has it become “major accomplishments”?). This seems to have given way to (or produced) what they call Vision-2035 and the growth and employment strategy paper (GESP) which, they say, are products of an“all-inclusive stakeholder consultative process” – meaning that they belong to all Cameroonians. Yet, we still hear South West Chiefs and other CPDM sycophants claiming that “it is the CPDM that is capable of bringing meaningful development like roads, schools, hospitals, and infrastructure…” as if taxpayers’ money belongs to the CPDM! According to them, the CPDM will be with us (where they are! ), until 2035 and beyond. I hope that they themselves believe this. thought; who happen to belong to different political parties or societal groupings. In the ongoing electoral campaigns, small ideas, small acts, small utterances will affect our thoughts and actions by the effect of the collisions they will cause in our minds. They will impact us with the perceptions they create. So far, the perceptions the CPDM seems to be leaving with us is that they abhor the biometric system of elections, and they can even desecrate the reunification spirit to win their “comfortable” majorities. The clash between militants of the Cameroon People Democratic Movement, CPDM and those of the Social Democratic Front, SDF party took place at the campaign grounds last Thursday, 19th September, 2013 has left the administration of Donga Mantung wondering whether politics has been transformed into a game of madness. The incident happened at about 6pm. It is told that since Sunday when the campaigns were officially launched, it had been the tradition of the SDF party that after the day’s run about on their campaign, they all have to assemble in front of the Divisional Hotel located at Binju to assess their activities. On that fateful evening, the CPDM militants chose to assemble in front of the Divisional Hotel. When the SDF campaign caravan arrived, efforts were made to block their vehicles into the arena. 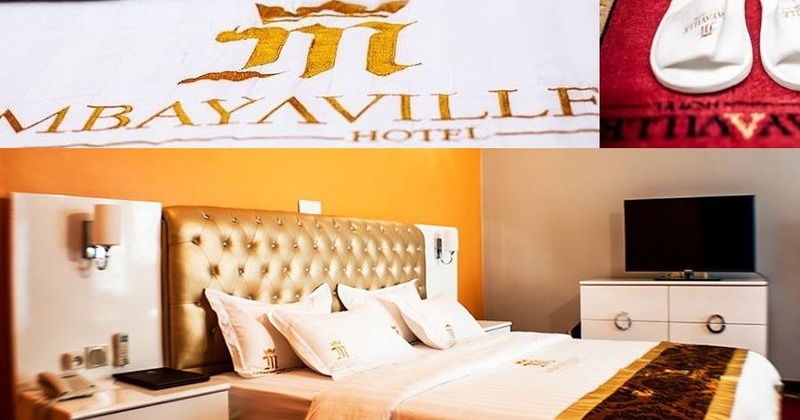 The owner of the Hotel, Julius Mbunkur who is a councilor of the SDF was shocked to find them there because he had no pre-knowledge; attempts to get his car to the parking point met with brute resistance. Militants of both parties were forced into brutal confrontation as SDF wanted to gain her rightful place. When the CPDM pretended to have left the scene, they decided to haul stones, bottles and sticks at the SDF crowd. There was confusion and in the mad rush, several militants of both the CPDM and SDF sustained injuries that landed them on hospital beds. A certain Nformi Mabuh had a fracture. One Awoh Nfor alias Jekaje of the CPDM who is accused to have thrown one of the bottles that broke a lady’s head was caught fragrant-dilecto by the SDF vanguards. 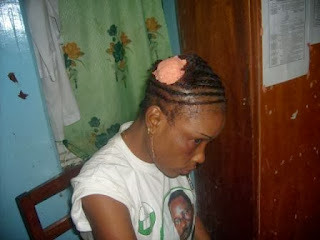 In anger especially for those already wounded, Awoh Nfor was given snake beatings and left unconscious. It is told that the very Awoh Nfor in an SDF rally had beaten the Wat market Master to near death. The SDF campaign medical team after an instantaneous first-aid, rushed their victims to the Nkambe District Hospital. The incident was brought to calm thanks to the arrival of the SDO for Donga-Mantung, Bernard Ngone Ndodemesape who came with some forces of Law and Order. The SDO called for calm and prayed for peace. He pleaded with both parties to carry their campaigns peacefully and with brotherly feelings. He equally challenged the various parties authorities to take control of their militants especially the youths who always too hot. According to Hon. Cyprian Awudu Mbaya the leader of Donga-Mantung campaign t beaten eam and SDF Parliamentary hopeful for Nkambe, CPDMS provocation and brutality had reached its acme and his party will no longer tolerate. (we’ve endured a lot of provocation and brutality from the CPDM party( he vented. It could be recalled that during an SDF Conference in Wat village, some CPDM grown-ups had Madam Mary Awudu, wife to the MP for Nkambe, Hon. 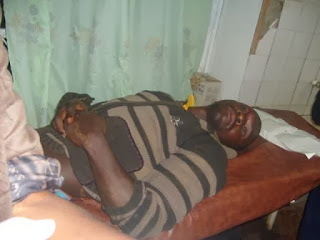 Cyprian Awudu Mbaya beaten at the Wat market Master, Ivo Ngwayi alias Ajento Baba was beaten and left unconscious- he passed through Nkambe District Hospital, Banso Baptist Hospital to the Bafoussam General Hospital since his skull was seriously affected and is yet to recover; a young man who resigned from the CPDM to the SDF in Moh, was beaten and knifed for leaving the party; SDF posters in Nkambe town were torn into pieces by the CPDM agents. Hon. Awudu said these and many other forms of provocation and brutality on the SDF militants had pushed them to the wall; and couple with the fact that they had always alerted the administration but in vain, they will henceforth respond brutality with brutality and fire with fire. He declared that the people of Nkambe and Donga Mantung had vomited President Biya and his CPDM party and he did not know why the CPDM militants were angry at that decision rather than trying to mend their ways. He continue to blame this politics of bitterness on the new arrival in politics of the young Gerard Ngala Ndongbang because the older politicians he saw and those he worked with in different political parties did not know violence but could dine together and joke over their campaigns. Several efforts to get the CPDM Parliamentary Candidate, Gerald Ngala Ndongbang comment on the incident failed as he turned down several calls to that effect. Equally, H.E. Jones Shey Yembe, leader of the CPDM campaign team for Donga Mantung centra could not be reached at the time of this report. However, if much care is not properly taken by individuals, party officials, the security and the administration there is nasty trouble ahead in Nkambe at this election period. Uncertainty looms large in Nkambe as both parties are determined to face each other. Classified sources say tugs of some political parties were spotted with tear gas and that groups of party militias are becoming more violent. The daughter of the first President of Cameroon, Aminatou Ahidjo who recently joined the CPDM campaign team has recorded her first baptism of fire. Sources from the Northern Region say at about 6:30 pm, yesterday Wednesday September 18, the CPDM campaign caravan was blocked over river Benoue. The vandals we gathered wanted to give Aminatou Ahidjo a test of the political bitterness that has characterized Cameroon. If not of the timely intervention of the elements of the Rapid Intervention Unit-BIR, dark clouds would have surrounded Garoua. Hundreds of tired were burnt on the bridge with the intention of causing havoc and untold damages. Allegations are rife at that the main target was late President Ahidjo’s daughter who had staged a political rally at Lagdo and was on her way to Garoua. However, according to classified sources, a group known as ATM, (Anti-Amina) is bent on frustrating her campaigns in the Northern Region. Unconfirmed sources say the youths who are estimated in hundreds are certainly pro-Iya and pro-Marafa who have decided to take the laws into their hands. Sources have confirmed that yesterday dramatic twist is raising a lot of unanswered question on the safety of the late President’s daughter. The activists we gathered have vowed that they will not sit to watch Northerners being reduced to null. Yet security measures we gathered have been stepped up to ensure the safety of politicians in that part of the country. Others are suspecting that Bokom Haram infiltration as an undeclared curfew has surfaced in the city. Did over 2000 Militants Decamp into the CPDM?